New Delhi: The World Bank has signed a $975 million loan agreement with the government on Thursday to build part of a massive freight railway line connecting northern and eastern India, it said in a statement on Thursday. India is ploughing huge investment into overhauling its ageing infrastructure network, which has long acted as a brake on growth in Asia’s third-largest economy. It plans to pump in $1.5 trillion into infrastructure over 10 years to 2017. “Dedicated freight corridors will not only meet this growing freight demand, but also decongest the already saturated rail network and promote the shifting of freight transport from road to more efficient rail transport," Rajamony said in the statement. 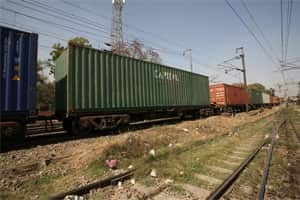 Transporting goods in India is expensive and slow -- it can take more than two weeks to move a container from New Delhi to Mumbai. The World Bank will fund a freight corridor to the east, while the Japanese development agency JICA will fund a similar project running 1,483 km (920 miles) from the capital to Mumbai, alongside which are planned 24 new industrial cities.